This April, as part of our Concrete Rugby initiative with the Leicester Tigers Foundation, we are encouraging schools across Leicestershire to “get on your bikes”. In an effort to promote the importance of a healthy lifestyle, exercise and the benefits of spending time outdoors Leicester Tigers Foundation, are encouraging schools across Leicestershire to “get on your bikes”. We all know that keeping fit is not only good for a healthy body, it’s also great for a healthy mind and can help increase energy levels and an overall feeling of happiness. Yet, recent research has shown that 91% of parents admit that their children do not get the recommended 60 minutes of physical activity a day needed to ‘maintain a balanced level of health’. 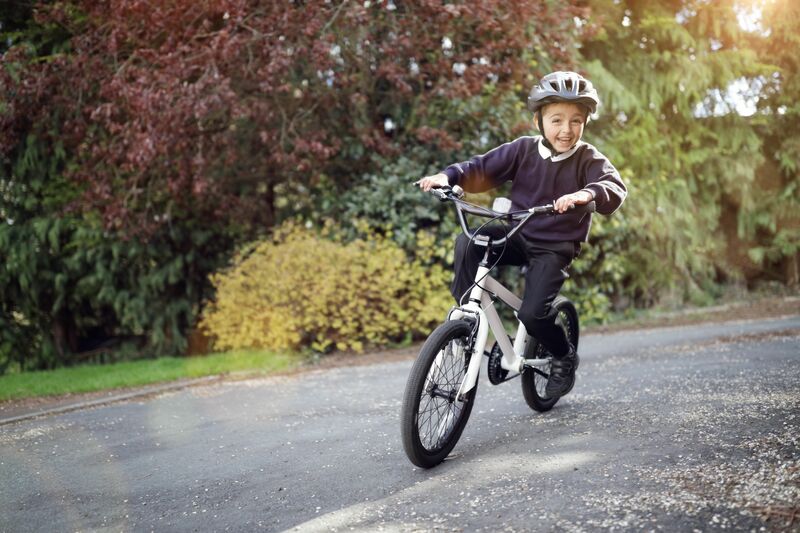 We believe just 15 minutes cycling to and from school could make a real difference to a child's fitness, establishing habits of healthy activity that could be life-long, and are encouraging pupils to make cycling a part of their weekly routines. Representatives from the Leicester Tigers and Aggregate Industries will visit schools to discuss the importance of a healthy lifestyle, covering topics such as ‘sustainability’ and how cycling can help the environment, as well as ‘cycle safety’ and how to stay safe whilst on the road. We’ll also be launching a social media campaign, encouraging pupils to get involved by asking a friend to take pictures or videos of them with their bike and tweeting us at @aggregateuk, using the hashtag #getonyourbike. We’ll have videos from Aggregate Industries staff and your favourite Tigers’ players, discussing how they stay fit off the field, what some of their favourite exercises are and what they love about cycling. Find out about the latest Concrete Rugby initiatives on our social channels. View the latest press releases surrounding our Concrete Rugby initiative with the Leicester Tigers Foundation.